Regardless of the size or complexity of your project, Smartsheet provides a real-time view of tasks across entire projects. That's why companies around the world rely on Smartsheet as their project management tool. 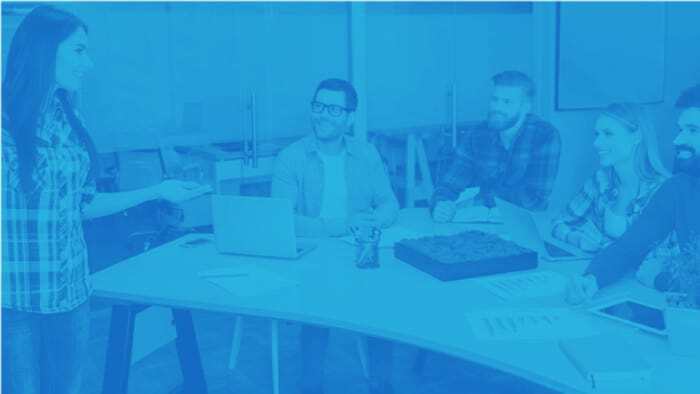 As a project manager, Smartsheet empowers you and your team to know what's getting done and by whom, increasing agility, speed, and accountability. With anytime, anywhere access and real-time dashboards, Smartsheet enables you to stay up to date on status and ensure no detail is missed. 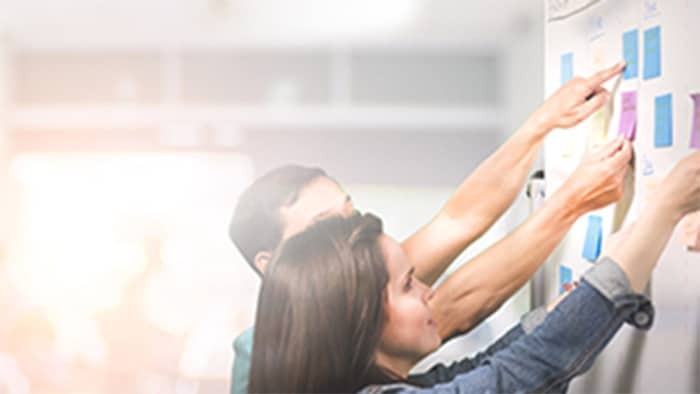 Whether managing projects for marketing, sales, product development, or IT teams, Smartsheet scales to fit the needs of any department, across all industries. 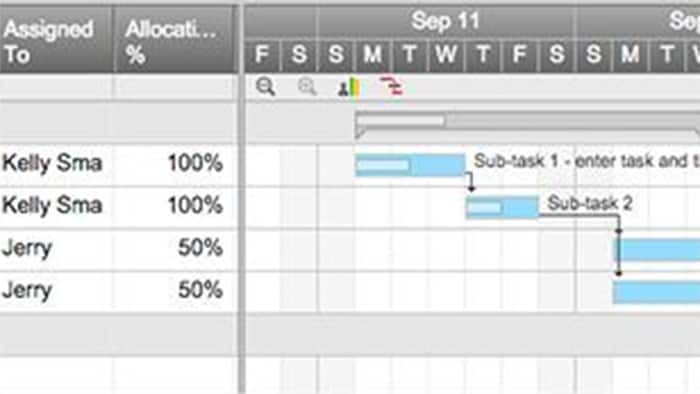 With an intuitive spreadsheet interface, Smartsheet is easy to adopt. Import existing files from Excel, Microsoft Project, Google Spreadsheets, and Trello, or use one of our pre-built templates. See project status and collaborate on work in real-time - no more emailing static reports or updates. Manage remote teams and access tasks from anywhere, on any device. Share your work with internal or external stakeholders and collaborate on entire project plans or individual tasks. Assign items, add comments, and set automatic reminders for regular updates. Manage projects the way that works for your team. 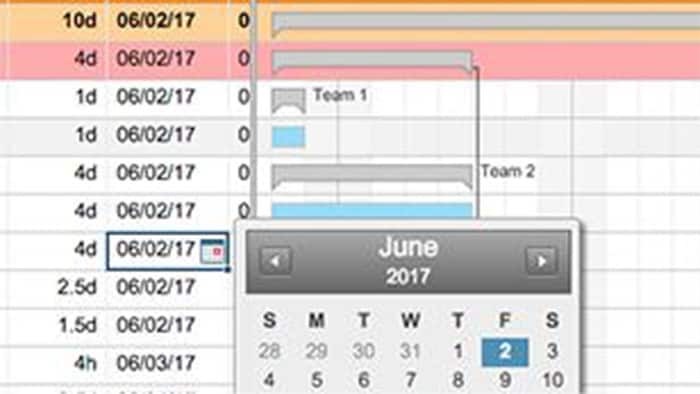 Use grid to organize tasks; Gantt to create timelines; calendar to visualize due dates; and, card to create online Kanban boards. Bring context to project details by attaching files from your computer, Google Drive, OneDrive, Dropbox, Box, Evernote, and more, to create one location for project documentation. 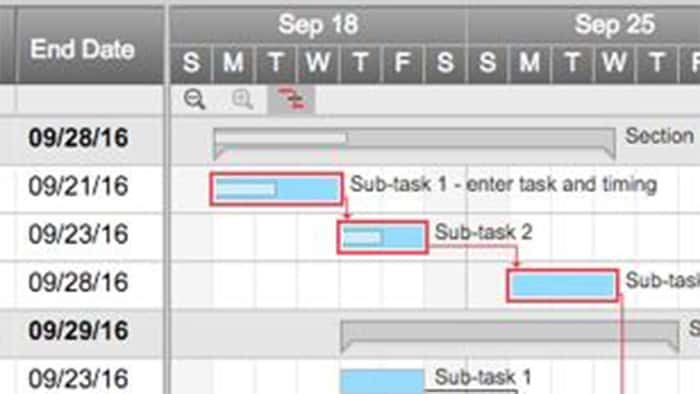 Easily create interactive timelines with Gantt charts in Smartsheet. Turn on critical path and include milestones and dependencies to track overall project status against deadlines. 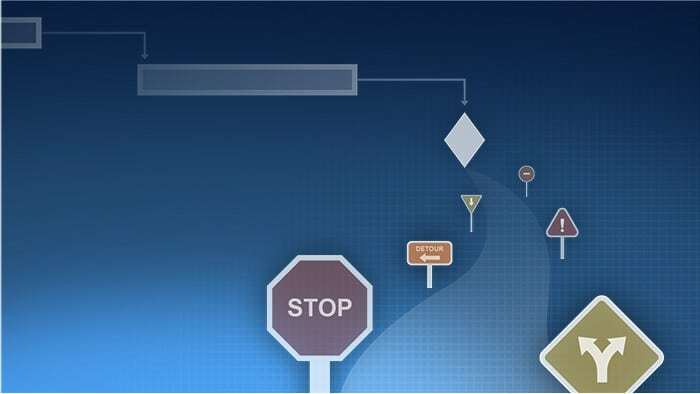 Automate repetitive project management tasks and actions with automated approval and update requests, triggered based on preset rules and created without a single line of code or help from IT. Roll up tasks across sheets, create editable summary reports of items coming due, at-risk, or not yet assigned. 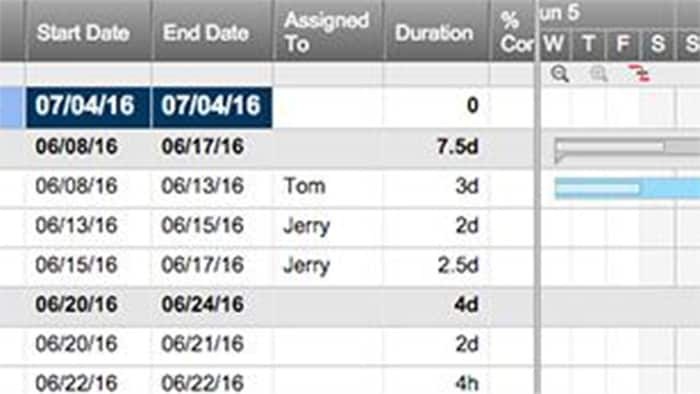 Share reports with your team, and schedule them to be automatically sent on a recurring basis. Keep stakeholders informed with an at-a-glance view of project and portfolio-level performance metrics. 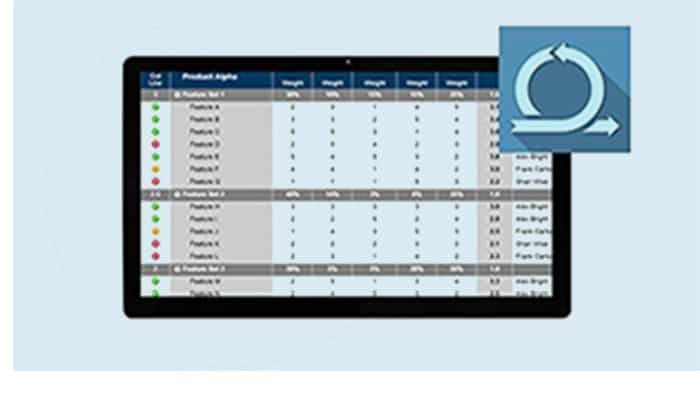 The easy-to-configure, widget-based view provides critical data in real time to make better decisions, faster. Activity Log gives you one place to see who viewed project plans, reports, and dashboards, what changes were made, and when those activities occurred. Filter by action type and date range to find what you're looking for. Gain visibility into resource levels, with team allocation details in real-time. Make adjustments, specify project roles, and assign role and user-level permissions to keep your projects moving forward. Smartsheet mobile apps on iPhone, iPad, and Android enable you to access details from anywhere. Collaborate on project information, check and update status, make approvals, and attach files while on the go. This template helps you manage your project, and provides an easy-to-grasp visual timeline for your team and clients. Use this template to keep your team organized. Group tasks by priority and use symbols to illustrate progress. Track project and budget performance in one template. Include budget and schedule variance and Gantt chart with dependencies. Use this template to gain an at-a-glance view of your project timeline, with Gantt chart, and your team's availability all in one plan. Designed for Agile project teams, this teamplate is built to track sprints, features, and tasks, and includes a Gantt chart timeline view. 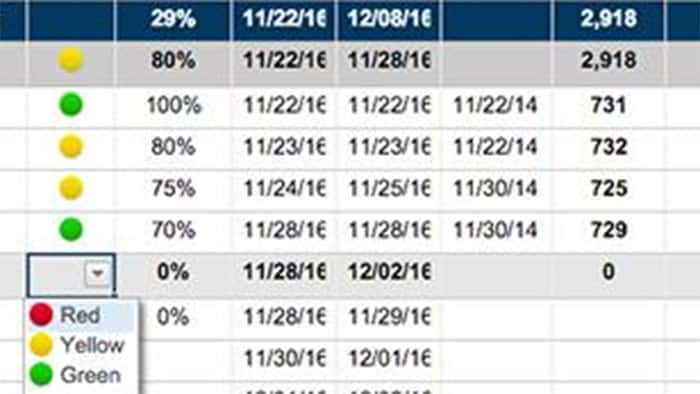 For projects with a firm deadline, use this template to help you create a workback schedule to determine start dates for preceding tasks. 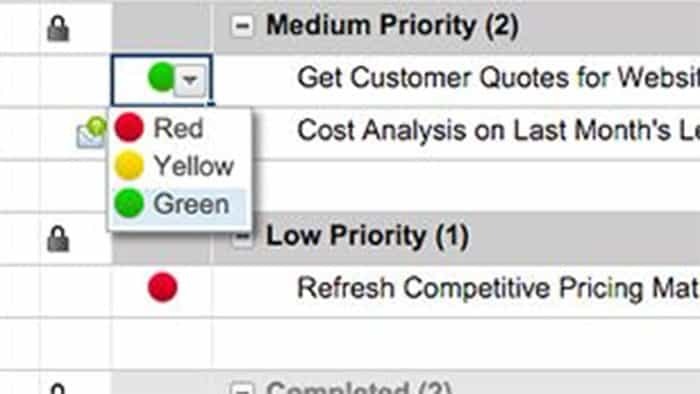 Smartsheet can basically do everything you always wished a spreadsheet could do, but with a lot more interactivity. 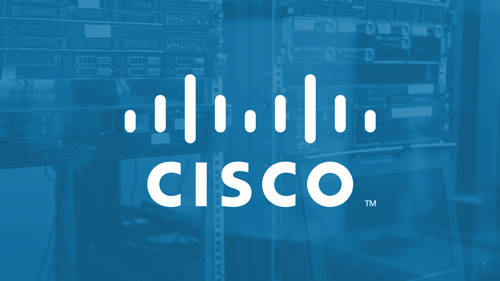 Learn how Cisco accelerates informed decision-making by maintaining transparency on project and program activities and budgets with Smartsheet. 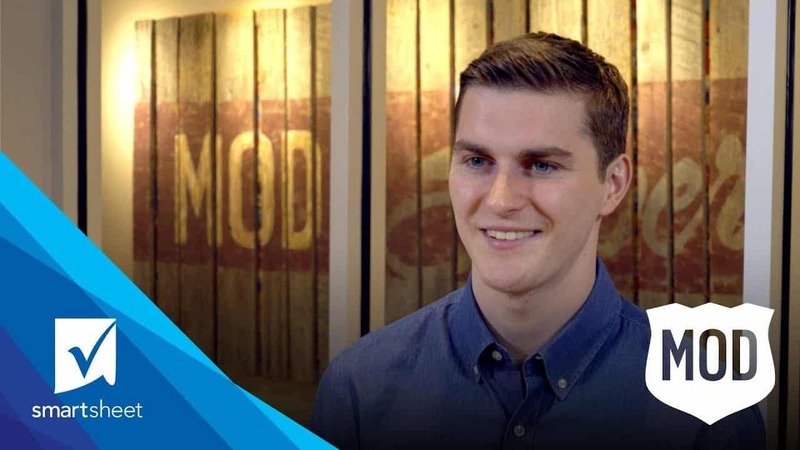 Discover how MOD Pizza scaled hundreds of new store openings with greater collaboration, consistent processes, and improved visibility in Smartsheet. See how Colliers International | Wisconsin manages multimillion dollar projects, keeps clients in the loop, and wins more business with Smartsheet. 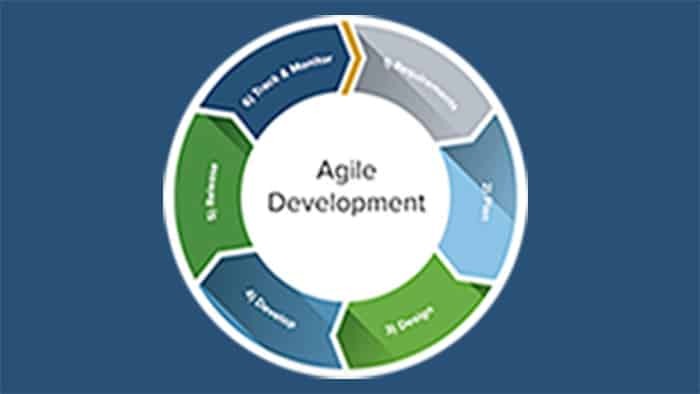 Learn all about Agile project management basics and how to get started implementing Agile practices. Get expert insight on the top project derailers and gain actionable tips on how to keep your projects on track. Discover the top barriers to PMO success, and five ways to decrease delays and increase project revenue. 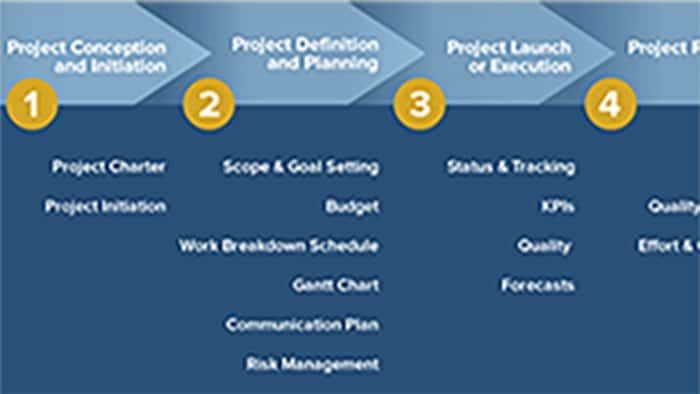 Learn all about the five phases of project management and get our top tips and tricks. Discover the Agile Manifesto's history, four values, 12 principles, and usage outside of software development. What's the difference between Agile vs Scrum vs Waterfall vs Kanban? Here's what you should know about these PM methodologies. Smartsheet, a technology that is tackling the problem of "app overload" by creating a management platform that promises a more seamless, centralized experience. 30-day Free Trial. Nothing to Install.